If you want your commercial printing produced as ordered, and your direct mail campaigns delivered on-time, every time, an ongoing business relationship with us is the right choice. Available in all sizes including our Jumbo 12x15 Postcard. Bi-Folds, Tri-Folds, and our Premium Glued Mailers. Scratch Offs, Peel Tabs, Keys, CodeKases, Credit Cards etc. Standard & Branded Prize Boards. 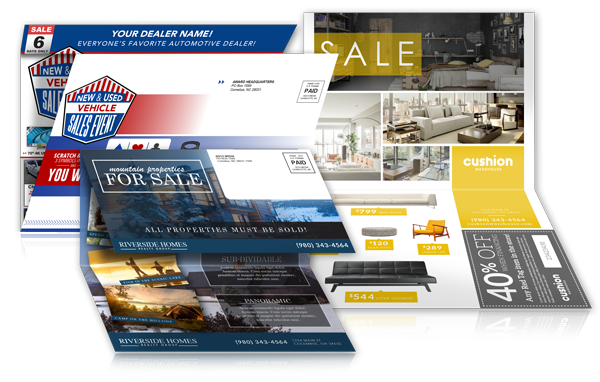 You can add Digital Media to your direct mail campaign. Quality Control is emphasized in every step of the process. From the initial review of data and art through the printing and mailing, our staff reviews each step of every job to ensure every campaign is delivered on-time, every time, efficiently and effectively. 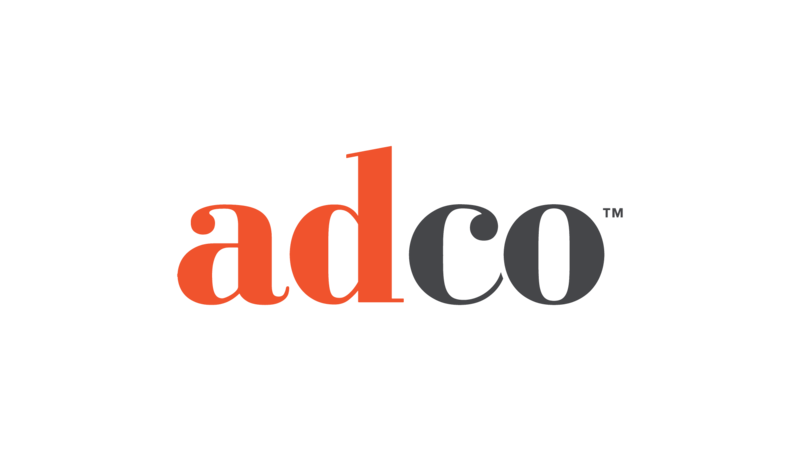 Using a list development team and up-to-date data software, we personalize your list with desired demographics so your campaign reaches the best prospects for your sales event. With deduping and data hygiene, we ensure a clean, current data list. Our design team will develop an original creative to ensure your business stands out from the competition with all the key elements that will get you great results. 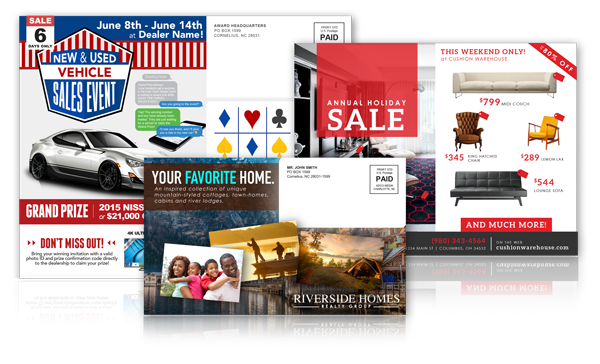 ADCO Media provides complete direct mail production services using our proven, comprehensive production management model. You can opt for our premium hand-delivery service and have our professional logistics teams personally deliver your direct mail to the local post offices, or you can choose standard freight delivery. Either way, we make sure your mail gets delivered on-time without incident. Once delivered, our project managers follow up directly with local post offices to verify that all of your mail has reached your intended audience.